Airport transfers Warwick is provided by lowcosttravels.co.uk airport taxis. We continue to provide airport transfers to & from Warwick. For families, Groups, Individuals or Business clients. Our professional and cost effective taxi service is available 7 days a week, 365 days a year. Advance bookings taken. To receive an online taxi quote from Warwick. All you have to do is just fill out the Quick quotation form found on our homepage. Enter where you would like to be picked up from ie: your home address or workplace. Also enter your destination aswell as the amount of passengers and luggage amount. If you would like a return journey just fill out the return journey section of the airport taxi quote form. Warwick Airport transfers are to/from; Birmingham airport, Luton airport, Gatwick airport, Manchester airport, Stansted airport, East midlands airport, Heathrow airport, Bristol airport, Cardiff airport. We cater for long distance taxi journeys from Warwick to London, Oxford, Wales, Cambridge, Brighton, Dover, Manchester, Birmingham, Yorkshire, Scotland, Southampton docks, Leicester, Nottingham, Stratford upon avon, Coventry, Warwick, Kenilworth, Meridan, Tamworth, Worcester, Northampton, Stoke on trent, Peterborough, Swindon, Colchester, Exeter, Essex, Croydon, Camden, Sheffield, Bournmouth, Norwich, Liverpool. Airport transfers Warwick to and from all UK airports. 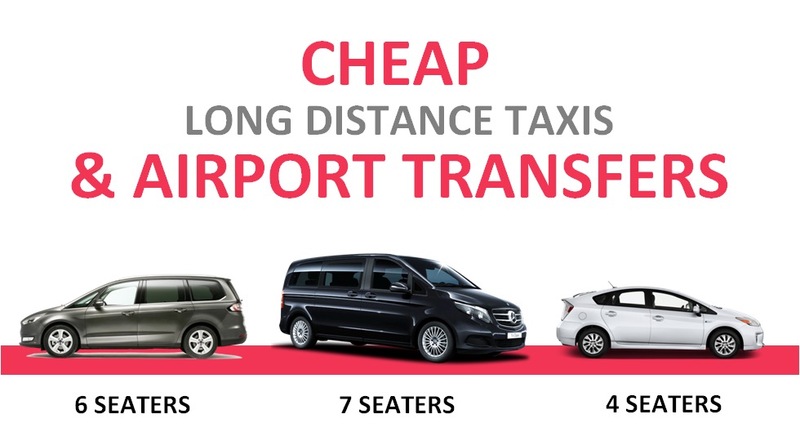 Long Distance Taxis Coventry Airport Transfers are a leading Airport transfers provider to thousands of customers who live in Coventry, and surrounding areas such as Kenilworth, Warwick, Leamington spa, Stratford upon avon, Meridan, Balsall common. We provide cheap airport taxi fares to Heathrow airport. Also we take on advance booking to ensure availability. Before you decide to fly into a UK Airport. Like; Heathrow airport, Birmingham airport, Luton airport, Manchester airport, Gatwick airport, East midlands airport or Stansted airport. Fill in our taxi quote form to make it easy for when your plane lands at the airport. We cater for long distance taxi journeys. We provide a meet & greet service at the airport terminal. The driver will be waiting in the arrivals lounge with a name card. We also monitor your incoming flight for any delays. If you are coming to Warwick for the first time. You can call us on +447511791880 and one of our experienced airport transfer staff who will assist you in any questions you may have. There is also a student discount for Warwick university student who live in Warwick or on the Warwick University campus.